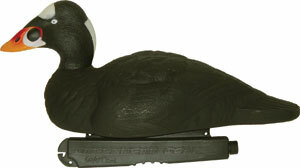 Sea Duck Hunting is rough on equipment and decoys are no exception. We designed the foam filled Commercial Grade Sea Duck Decoy to take a beating and still ride high on the water day in and day out. The 60/40 keel design guarantees a perfect ride in any situation. Includes 4 Drakes and 2 Hens per 6 Pack. 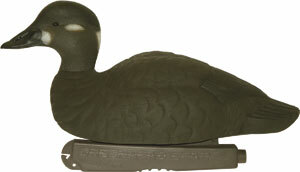 Sport-Plast has made it self known as the leader in the Sea Duck Market. 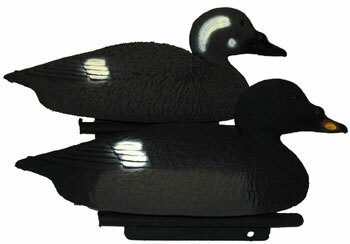 These Scoter Decoys measure 15" from breast to tail and are packaged 6 drake and 6 hens per dozen decoys.